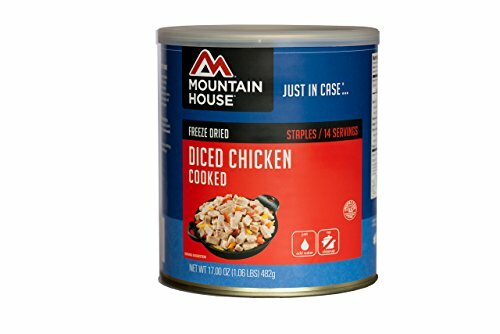 The Mountain House Diced Chicken is a great addition to your recipes for stew, soups, marinara and chili. 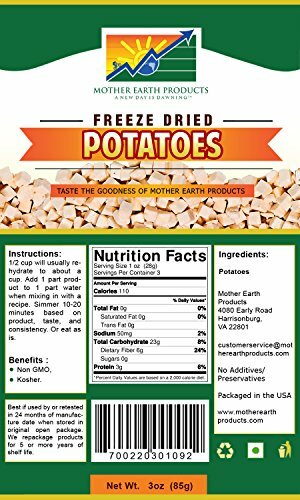 Freeze Dried Potatoes- Great in soups, breads, casseroles, entrees, pasta dishes, and desserts, or as is! Cooking and food storage made that much easier. High quality dried fruits and vegetables. Gluten free. GMO free. Kosher Packaged by hand for optimum quality, care, and freshness. 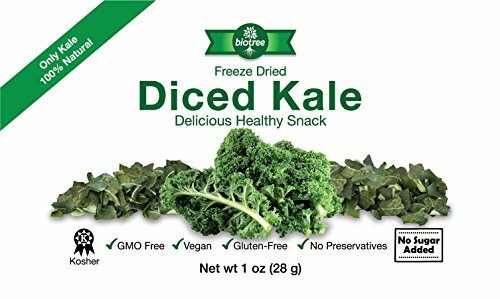 Freeze Dried & Dehydrated fruits and vegetables are ideal for easy cooking, snacks, backpacking expeditions, and camping. From soups and casseroles, to fruit salads and smoothies, these delicious fruits and vegetables make a healthy addition to any meal. 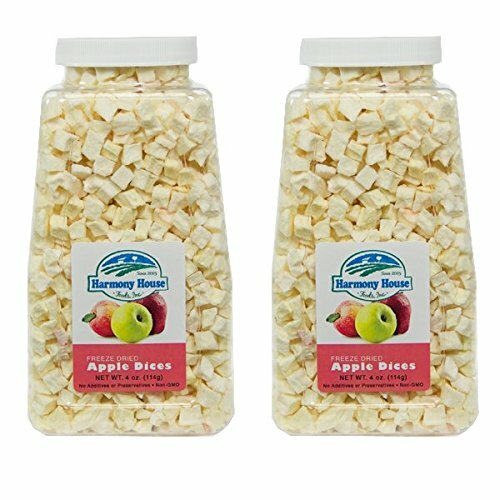 Mother Earth Products' freeze dried & dehydrated fruits and vegetables make the choice to eat healthy easy and enjoyable. 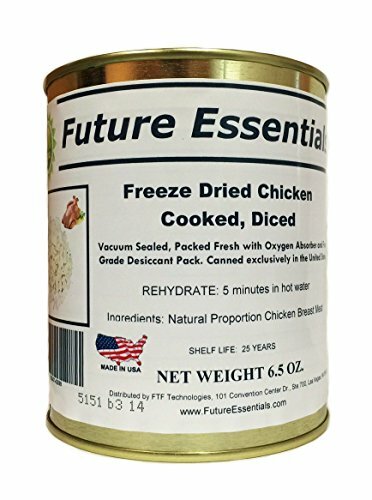 One can contains 6.5 half-cup servings of Freeze Dried Cooked Chicken Chunks! Real diced cubes of chicken! 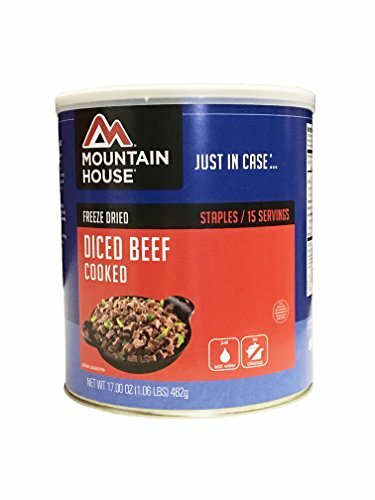 This product is excellent for adding to any recipe calling for chicken: stew, soups, pasta, omelets, scrambled eggs, sandwiches, pies, casseroles, tacos, enchiladas, or any recipe that calls for chicken! 100% Natural USA Chicken cooked with no preservatives or additives. Chicken is one of America's most popular meats. It has less saturated fat than most red meats. Chicken is an excellent source of protein. It is lean, filling, and full of beneficial amino acids. On top of that, Chicken contains a variety of beneficial nutrients: Iron, Phosphorus, Selenium, Vitamin A, Vitamin B2 (Riboflavin), Vitamin B3 (Niacin), Vitamin B12, and Zinc among others! Chicken is an absolute must in any disaster preparedness pantry! 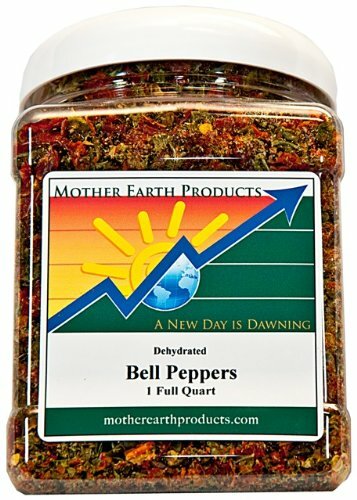 An excellent source of protein that can be used creatively when making your favorite recipes from stews, soups, pasta dishes and chili. #2.5 Can / 1oz. 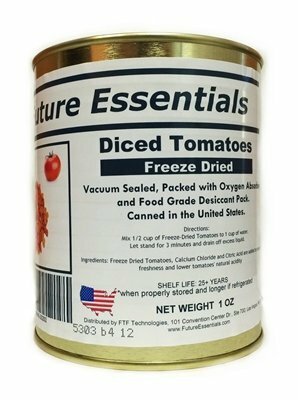 Shelf Life: 25+ years Toss a handful of these tasty tomato chunks into a veggie omelet, or simmer some to perfection in a pot of Canned Chili or add them to your Vegetable Soup. 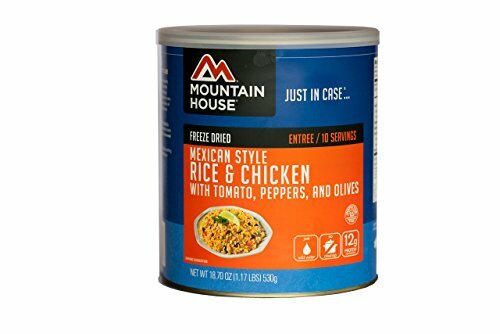 Spice up your outdoor menu with the Mountain House Mexican Style Rice and Chicken meal.